Onto part two of the ELJ “Key Five-And-One” Playoff Preview. If you missed out on part 1, check it out here, as I look at the key five players to the Real Madrid-Darussafaka series. Now, let’s take a look at the 2-7 matchup between CSKA Moscow and Baskonia Vitoria-Gastiez. Nando de Colo is the more polished player and scorer, but nobody is probably more important to his squad than Milos. When Teodosic is humming, swinging the ball around to open men, and hitting it from deep, you can almost guarantee a CSKA win, as has been the case on frequent occasion the past few seasons. Teodosic leads CSKA in minutes per game at 29, and is also their leading assist man at 7.2 apg. Additionally, he also scores 16.1 ppg and has a PIR average of 17.5. While the latter mark is second to de Colo, Milos has gotten to his high marks mostly coming off the bench, as he has started only six games this season (mostly in de Colo’s absence, when he was out for a little bit in the middle of the year due to injury). De Colo has been a consistent force, especially on the scoring end, and it is expected that de Colo will get his during this series. But nobody controls or orchestrates the CSKA offense more or better than Teodosic…and that has its positives and negative (though mostly positive). Teodosic has a flair for the dramatic, and can make beautiful passes and assists look effortless. At the same time, he can also turn the ball over with just as much ease, and his defensive effort can wane on occasion. Considering Baskonia has some high-effort guards in Shane Larkin, Jaka Blazic and Rafa Luz, Teodosic can’t lose his concentration in this series, as Baskonia will make him and CSKA pay if they allow Baskonia to score in transition off of turnovers. 34 points, 10 assists and a ridiculous 43 PIR in 112-84 beatdown of Baskonia in Round 9 in Moscow. Considering the first two games will be in Russia, I’m sure Baskonia is hoping they don’t see that Milos again in the playoffs. Augustine comes off the bench for CSKA, much like Milos, and he may not be their best big (you could argue for Kyle Hines or Nikita Kurbanov). However, the CSKA newcomer has been a bit of a polarizing figure this year for the Moscow-power, and his performance in this series could not only determine a Final Four spot, but perhaps whether or not they repeat as Euroleague champs. Coming over from a Khimki Moscow team that barely missed the Euroleague playoffs a season ago, Augustine has put up good numbers: he leads the team in rebounds at 4.5 per game and he is averaging 5.8 ppg on only 16:28 mpg. However, the biggest question mark with Augustine has been defense, as he has a reputation of getting exposed in the pick and roll or outmaneuvered in the block by more skilled post players in the Euroleague. This is a huge issue considering Baskonia’s depth and talent in the frontcourt. Will Augustine be able to handle Johannes Voigtmann, Ilimane Diop, Toko Shengelia, or Kim Tillie, who all do different things from the post position? Augustine has been inconsistent this year, but he has risen to challenge in big moments before, as evidenced by him hitting this big game winner against CSKA a few seasons ago. CSKA utilizes their posts in many different ways, but without a doubt, they will need a prime Augustine in this series. If he gets brutalized on the defensive end by Baskonia’s weapons, it will put even more pressure on Milos, Nando, and the CSKA perimeter to have an even bigger series on both ends of the floor. The Hungarian forward is most likely going to the NBA next year, probably following in the steps of former teammate Dairis Bertans who left to play for the Spurs at the conclusion of the 2016 campaign (the Spurs also own Hanga’s rights). It is fitting that Hanga may play with the Spurs next year, as Hanga is almost a “lite” version of San Antonio star Kawhi Leonard. 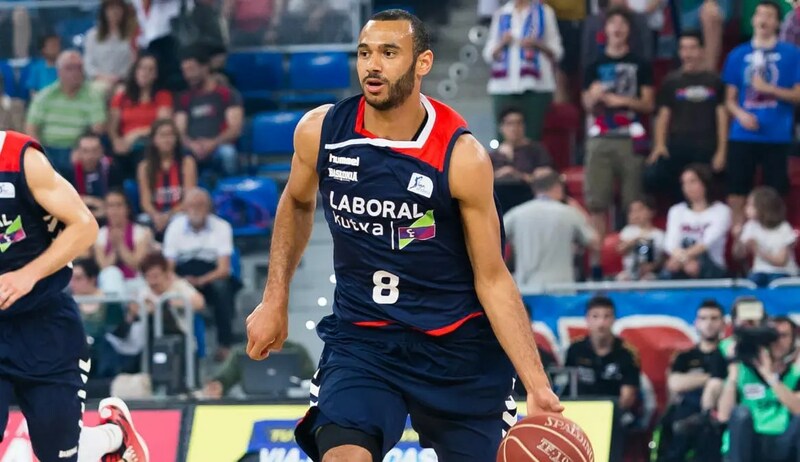 Hanga is an incredibly athletic, defensive oriented wing that can nearly guard anyone on the floor, and when he’s on offensively, he can carry this Baskonia team to victory more often than not (much like Leonard with the Spurs). Hanga has improved his offensive game from a year ago, much more comfortable as a scorer than he was during their Final Four campaign in 2015-2016. This year he put up a line of 10.6 ppg, 4.5 rpg and 2.3 apg, good for a 13.5 PIR average, the third-best mark on the team (behind Shane Larkin and Johannes Voigtmann who both had a PIR average of 14.9). That kind of triple-slash potential, along with his defensive prowess may have Spurs salivating that Hanga is indeed a Hungarian version of Leonard. But, Hanga’s scoring prowess can go hot and cold from game to game. He is only shooting 33.3 percent from beyond the arc and around 67 percent at the line, and he can be a “ghost” on the offensive end in some games, as evidenced in Round 30 where he scored only 6 points and put up a PIR of 3 in a crucial loss to Zalgiris that made them drop to 7th in the playoff standings. But he’s also capable of games like below against Barcelona, where he put up 14 points, 3 assists and had a PIR of 21. Which Hanga is going to show up? If the good, Leonard-esque Hanga does, Baskonia’s chances of pulling off a legendary upset, and making a return to the Final Four, will look a whole lot rosier. Larkin’s first year with Baskonia has for the most part been a success. After relying on the two-headed combo of Darius Adams and Mike James a season ago, Baskonia took a flyer on the former Brooklyn Net and University of Miami star. So far, Larkin hasn’t disappointed: he is averaging 13.1 ppg, 5.7 apg and is tied for first on the team in PIR average at 14.9 (with Voigtmann). And with little depth at the point position (Nico Laprovittola and Rafa Luz offer some good things and effort, but are probably average to slightly below backup options), it makes sense that head coach Sito Alonso has relied so heavily on the first-year guard (29 mpg, a team-high). Larkin is explosive, competitive, and not afraid of the moment. That was evident in Baskonia’s 79-78 win over CSKA at Fernando Buesa where Larkin not only hit an ice-cold go-ahead shot with about 30 seconds to go, but also stole the ball on the defensive end to seal the game. If you look at the clip below, it’s impressive how Larkin commanded the moment on the offensive end with the swagger and confidence of a Euroleague veteran. Considering CSKA’s strength is in the backcourt, this series will be a challenge for Larkin. In addition to de Colo and Teodosic, Aaron Jackson and Cory Higgins are also solid perimeter players who undoubtedly will try to make Larkin’s life difficult on both ends of the court. Larkin has had mixed results against CSKA as well: despite hitting the game winner, he only had a PIR of 8, and for the most part was neutralized until the game’s closing moments. That being said, this will be Larkin’s first taste of the postseason as a professional, and it’ll be interesting to see if Larkin can rise to the moment like he did at times in the Euroleague regular season. Considering Baskonia’s lack of options at the point behind him, the Basque club’s Final Four future may heavily depend on Larkin’s adjustment to the playoffs. Voigtmann may have the best numbers of any Baskonia big, but no post player is more important to this squad than Shengelia. The Georgian missed some time during the middle of the season to injury, and in that time span, Baskonia swooned, going 1-5 in Shengelia’s absence from Round 18-23. When Shengelia returned to the lineup in Round 24, Baskonia finished 5-2, and saved a playoff spot which looked in dire shape after a Round 23 loss to Anadolu Efes. Unlike Voigtmann or off-season pickup Andrea Bargnani, who has missed most of the year due to injury (a blessing in disguise since Bargnani was such a defensive liability), Shengelia is a physical, rugged back-to-the basket post player. Yes, Shengelia can step back and hit the occasional three. However, where Shengelia really flourishes is in the blocks, as he is physical and crafty on both the offensive and defensive end, and gives this Baskonia team a sense of toughness that they miss when he’s not on the floor. His physicality was on full display, as you can see in the video below, in a crucial Round 27 game on the road against Brose, and Nicolo Melli, an All-Euroleague-caliber player. Shengelia put up a line of 16 points, 12 rebounds and a PIR of 22 in a 96-71 victory in Bamberg that helped Baskonia secure a spot in the postseason. Toko is playing some of the best basketball of his career this season with Baskonia, and they will need him to continue this hot stretch to take advantage of CSKA’s lack of depth in the frontcourt. This series will be a contrast between two very different teams: CSKA has incredible depth in the backcourt with Milos, Nando, Jackson and Higgins, but they really lack a true go-to guy in the post; Baskonia on the other hand has so much versatility in the blocks, with rim runner Diop, the physical Toko, and Voigtmann and Kim Tillie who can beat you inside and out, but they lack playmaking beyond Larkin and Hanga. So the question is, who’s going to give first? Who wins this series could hinge on which of those two aspects cracks first. What if Nando shoots poorly? What if Milos is turning the ball over and giving up points off turnovers? What if Voigtmann is neutralized and made a non-factor? What if Toko gets in foul trouble? My gut says Baskonia’s frontcourt is more likely to crack than CSKA’s backcourt, but we won’t know for sure until the games begin April 18th. As a fan, I’m pulling for Baskonia, but they’re going to need the frontcourt to be in full force to have a chance to return to the Final Four. With 10 rounds down, the Euroleague regular season is officially 1/3 completed. While there are still 20 rounds to go until the playoffs, and teams still have pending roster/coaching moves to make to either maintain, improve, or turn-around their postseason hopes, the landscape in European professional basketball’s premier league is starting to get clearer. So, to recap these first 10 games of the “new and improved” (and it really is improved; I dig this 30-round, 16-team format way more than the old “24-team Regular Season” and “Top 16” split season format), I will be handing out awards and honors from the first 10 games of this season. Yes, I know it’s early, and I imagine that many of these awards/honors will change over the course of the next 20 games. That being said, it is still important to recognize the Euroleague teams and individual players and coaches who have succeeded (and disappointed) thus far. As always, the premier Russian club has handled high expectations almost flawlessly. Nando de Colo was having another “MVP-esque” season, averaging 21 ppg and a PIR of 23.2 until his thigh injury sidelined him after seven games. However, even though they lost the reigning Euroleague MVP, they haven’t missed a beat, as Milos Teodosic has taken the sole mantle of leadership in de Colo’s absence. The Serbian is averaging 18.7 ppg, 8.2 apg and a PIR of 19.6. While CSKA however has been the best team thus far over the first 10 games of the Euroleague campaign, their title will be threatened quickly over the next 20 games. Not only is de Colo out for a good period of time (he was expected to miss “several weeks”), CSKA’s depth is not nearly as dangerous as their title squad a year ago. After de Colo and Teodosic, nobody else has a PIR average over 10 except for Jeff Ayres, who has only played four games. Furthermore, the defense has looked shaky as of late in de Colo’s absence, as CSKA needed a buzzer beater to bail them out against last-place Brose Baskets Bamberg in a 90-88 win. CSKA ranks 11th in the league in points allowed, and though that’s not necessarily the best indicator of defensive effectiveness, it still shows that they aren’t quite elite in that category in comparison to offense (they lead the league in points scored). With de Colo’s health, and CSKA’s supporting cast around Milos and Nando shakier than in seasons past, it could open the door for Real Madrid, who actually has a better points differential (+95 to CSKA’s +91) despite a worse record (7-3 to CSKA’s 9-1). Real has incredible depth, especially in the post, as Gustavo Ayon, Felipe Reyes, Othello Hunter and Anthony Randolph all offer different yet impactful skills to the table. Furthermore Sergio Llull is putting up a MVP-worthy campaign as the primary point guard with Sergio Rodriguez now in Philly, and Luka Doncic is turning into a budding point-wing superstar (and remember he’s only 17 years old). CSKA may be the best team now after 10 games, but Real could steal that title after Round 20, perhaps even sooner. These past three games with Nando out of the lineup proves how important and effective Teodosic is to this CSKA team. Yes, de Colo is an essential part to this CSKA squad, and as stated before, an MVP-caliber player. However, I don’t know if they finish 9-1 after 10 games if Teodosic and de Color reverse roles. Teodosic is simply the unquestioned leader of this team, and at the point, he has been able to maximize his teammates’ effectiveness on the floor in ways that I don’t think any other Euroleague player today could, de Colo included. His combination of floor vision and offensive ability make him one of Europe’s most valuable commodities, and a key reason why CSKA will be gunning for another Final Four spot, and perhaps a successful defense of their crown. That being said, Sergio Llull has been surging as of late, being the kind of playmaking guard that could make Los Blancos a “super-team” by season’s end. Llull is second in the league in PPG at 18.9 and also has 6 apg and a PIR average of 18.1. And he did this despite starting off the year atrociously from beyond the arc (he has gotten it up as of late, but it is still lackluster at 29.4 percent). The Teodosic-Llull MVP race will be interesting to follow throughout the Regular Season, as whichever team finishes the season with a better record could swing the MVP award for their respective point guard superstar. Russian club UNICS Kazan is probably going to finish near the bottom of the Euroleague by season’s end, (and their 3-7 start doesn’t help many people think differently). However, despite their lackluster outlook and record, as well as home court attendance (watching UNICS home games are depressing considering the amount of empty seats; it resembles a women’s community college basketball game crowd), they sport one of the Euroleague’s most entertaining players in Keith Langford. The former Kansas Jayhawk leads the league in scoring average (23.2) and PIR average (24.2). And he is far from a one-trick pony, as he is also averaging 4.1 rebounds per game and 4.2 assists per game. Plain and simple: the lefty scorer can do it all, and is not just key, but really the reason for any success UNICS has experienced and will experience this season. There won’t be a lot of highs this year for UNICS. Their appearance this season has all the signs of a “one and done” Euroleague team. That being said, the spectacular Langford makes this team somewhat competitive and worth watching on a week-by-week basis. Runners up: Milos Teodosic, CSKA; Nicolo Melli, Brose Baskets Bamberg. Yes, Dimitris Itoudis and Pablo Lasso deserve credit for making CSKA and Real Madrid, respectively, the best two teams in Europe. And yes, after the top-three teams (Fenerbahce being the third), it’s a crapshoot four-through-nine. However, while they are 6-4 and are still a bit unpredictable, Baskonia has been a pleasant surprise this season. 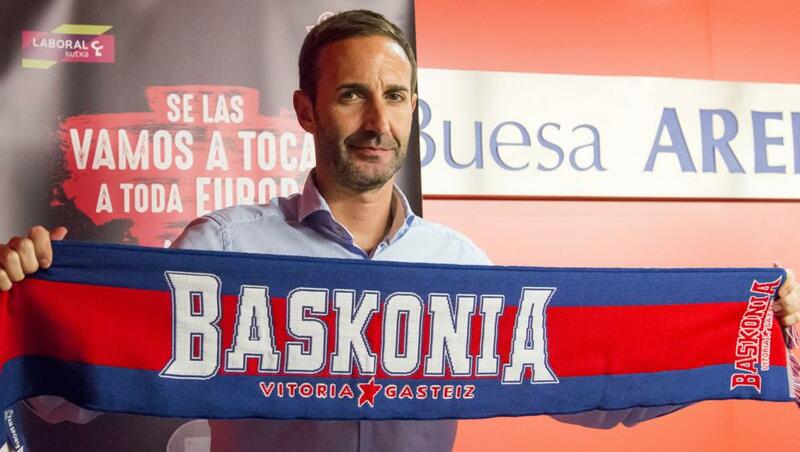 And new head coach Sito Alonso deserves a lot of credit for making Baskonia a playoff contender thus far. Remember what happened to the Final Four squad this offseason: They lost Darius Adams to China; Davis Bertans to the NBA; and Mike James and Euroleague MVP-runner up Ioannis Bourousis to Panathinaikos. Though they were able to keep Adam Hanga from the NBA (the Spurs own his rights) and ACB rival Barcelona, they replaced their core 2015-2016 roster with a lot of question marks, including former NBA players such as Andrea Bargnani and Shane Larkin, and Johannes Voigtmann, who was playing for Fraport in the FIBA Europe Cup, a third-tier club competition, a year ago. However, Voigtmann and Larkin have been revelations, and though his minutes and impact is limited to preserve his health, Bargnani has also been effective as well. A lot of credit should go to Alonso, who has been able to create an offensive and defensive system that has not only gotten the most out of Baskonia’s new acquisitions, but also the mainstays from previous seasons. This is a different team from last year’s squad, but they have been effective because Alonso hasn’t tried to mold them into last year’s team either, which is a pitfall of many teams who experience success the previous season. Alonso has long been considered one of the brightest young coaches in the European club scene considering his junior national team success with Spain as well as head coaching experience with Dominion Bilbao and Joventut. However, if he continues to build upon the strong Euroleague start, his stock will be even higher than before by year’s end. Honorable mention goes to Rami Hadar, who has done a sterling job after Erez Edelstein was fired after two games. Maccabi Fox is a flawed roster, with a lot of egos and not a lot of depth in the frontcourt. However, Hadar has adopted a full-court, push-the-tempo, small-ball philosophy that has helped Maccabi go 5-3 under his tenure thus far. However, as strong as Hadar’s start has been, it still is just a shade below in impressiveness in comparison to Alonso, who has outperformed expectations with this roster thus far. To stay on the Baskonia bandwagon, Voigtmann probably has been the biggest surprise thus far in the Euroleague. Voigtmann played last season for the Fraport Skyliners, and his signing earned a lot less publicity than fellow center Bargnani, a former No. 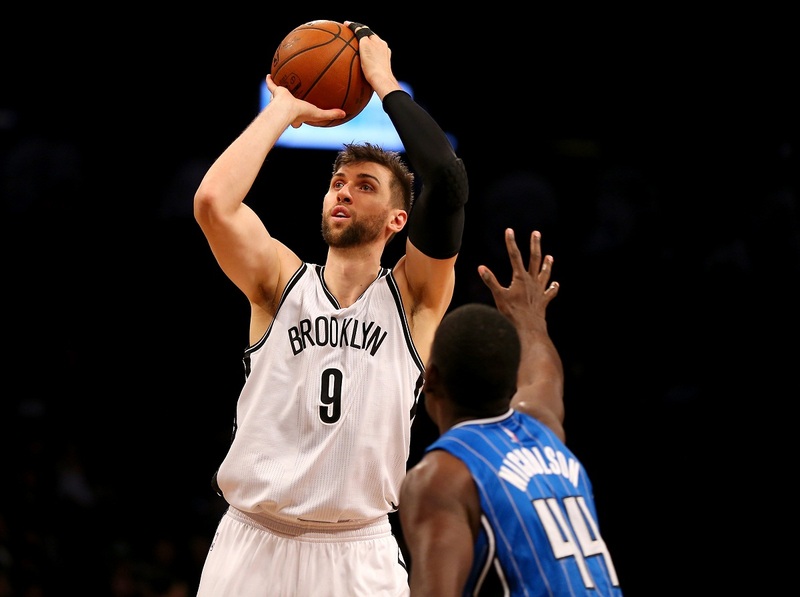 1 NBA Draft pick who played for the Toronto Raptors, New York Knicks, and most recently the Brooklyn Nets. 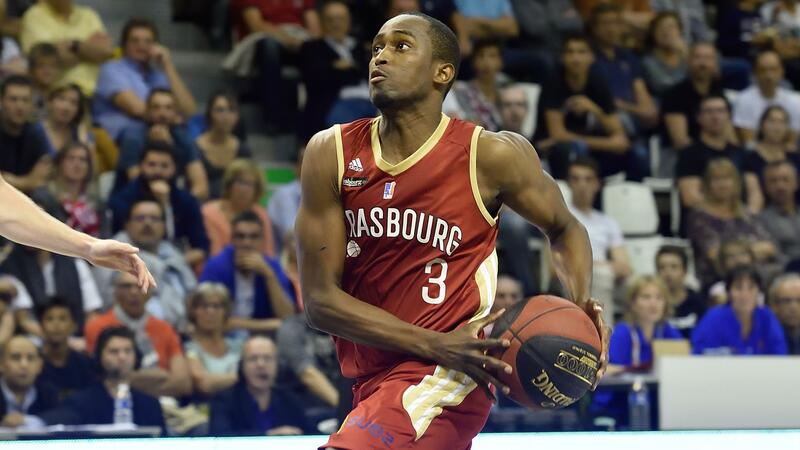 However, Voigtmann has proven to be the more effective replacement to Bourousis this season. In nearly 25 mpg, Voigtmann is averaging 12.3 ppg and 7.3 ppg with a PIR of 17.8 (his total PIR is seventh-best in the Euroleague). He is shooting 68.8 percent on 2-pt FG, 42.3 percent on threes, and 78.8 percent from the line. Plain and simple: not many bigs this year have been as effective and efficient on the floor as Voigtmann this year. The pick and roll combo of him and Larkin (who is 13th in the league in PIR) will continue to give opposing Euroleague (and ACB) squads trouble over the next 20 games (as long as they stay healthy of course). Some other surprise names for consideration are Nicolo Melli of Brose Baskets, who is third in PIR, and Derrick Brown of Anadolu Efes, who is fourth in PIR. However, both teams are not as good as Baskonia (though Efes is surging), and both weren’t as under-the-radar as Voigtmann (both played for their current squads a year ago). Runners up: Melli and Brown. After starting 0-3, Efes is suddenly 5-5, coming off a big win on the road in Tel Aviv against Maccabi Fox. What makes this so surprising is Efes went kind-of-under the radar this offseason. Yes, they did hire Velimir Perasovic as head coach, who was coming off a final four appearance with Baskonia. But roster-wise what they did was tame in comparison to their Turkish rivals. Fenerbahce returned pretty much their whole squad from their Championship runner-up season, and Darussafaka and Galatasaray both signed many American players (Brad Wanamaker and James Anderson for Darussafaka; Russ Smith, Austin Daye, Jon Diebler, Alex Tyus, and Justin Dentmon for Galatasaray) who were expected to have a major impact on their respective teams. Add that with the loss of Dario Saric to the 76ers of the NBA, who had been Efes’ star player the past couple of years, and it appeared that Efes was on their way to being the fourth-best Turkish club in the Euroleague. However, Efes, despite their winless start, has been surging. Derrick Brown has been one of the Euroleague’s best players (4th in PIR), and they also have gotten incredible impact from Tyler Honeycutt (11th in PIR), Bryant Dunston (16th in PIR), Thomas Huertel (53rd in PIR) and Cedi Osman (54th in PIR). There is some serious depth on this Efes roster, and Perasovic has proven that he may be one of Europe’s best coaches. Many people credited Baskonia’s success more to Bourousis rather than Perasovic a year ago. However, a year later, Perasovic has this Efes roster coming together, while Bourousis is struggling to have any kind of impact with Panathinaikos. Yes, Efes is in the middle of the pack now, but Efes, with their combination of length and athleticism and offensive and defensive effectiveness, could be rising to the top not just by the end of the year, but by the end of round 20, the 2/3 mark of the season. And it wouldn’t be surprising to see Efes be challenging Fenerbahce for the title of the best “Turkish” club in the Euroleague by that point either, especially considering Bogdan Bogdanovic’s injury issues. I figured Bartzokas to be an interesting pick, considering he coached a mid-tier team in Lokomotiv Kuban (though he did take them to the Final Four) and didn’t have any experience coaching in Spain. However, I thought his recent Euroleague success, and the additions of Victor Claver from Loko and Tyrese Rice from Khimki Moscow, and the re-signing of Joey Dorsey would give Bartzokas a solid foundation to build a successful team in his debut year. Well, Barcelona is still competitive, as they are 5-5 and coming off a much-needed win at home over Panathinaikos. However, Bartzokas has really struggled to find any kind of consistency and chemistry with this Barcelona squad thus far. Yes, Barcelona has been effective defensively, as they have allowed the least amount of points in the Euroleague this year. That being said, defense was always Bartzokas’ strong suit (his Loko team last year was one of the most effective defensive teams in the Euroleague). Offense was the question mark with him, and unfortunately, that question remains unanswered. Despite their low points allowed total, their point differential is -31, a sign that the defense may be a product of a slow pace to go along with their glaring issues when it comes to scoring the basketball. Considering that mark is the third-worst in the Euroleague, Bartzokas needs to make some adjustments if he wants Barcelona to be seen as a serious Final Four contender. Granted, Barcelona has experienced a lot of bad breaks. Juan Carlos Navarro, Pau Ribas, Claver, and Justin Doellman have all missed significant time due to injury, and considering Bartzokas gives a lot of freedom to his players to create on the offensive end (he relied heavily on isolation plays and the pick and roll from Malcolm Delaney and post players Chris Singleton and Anthony Randolph), the lack of major talent on the floor s been a hurdle. That being said, Tyrese Rice has been solid this year (15.81 PIR), and he is the kind of dynamic guard that Bartzokas utilizes well (as he did with Delaney and Dontaye Draper a year ago). It will be interesting to see if Bartzokas will rely even more on Rice going forward, especially if he starts to feel the hot seat more as the season progresses. I understood that Bourousis would probably regress and not duplicate the kind of MVP-season that he had last year with Baskonia. After all, that team really found lightning in a bottle, especially in Euroleague play. Nonetheless, Bourousis has seriously regressed. In 2015-2016, Bourousis averaged 14.5 ppg and 8.7 rpg on 55 percent shooting from 2-pt FG, 38.3 percent from beyond the arc, and 81.1 percent from the line. This year? 8.9 ppg, 5 rpg, 42 percent 2pt FG percentage, 25 percent from beyond the arc, and 72.7 percent from the line. Last year, Bourouis was second in the league in total index rating. This year, Bourousis is tied for 54th in total index rating. And honestly, Bourousis’ regression has been a bit of a microcosm of Panathinaikos’ team this year. Other than Nick Calathes, who has really bounced back after an off-year last season, (he is 8th in the league in index rating), and Chris Singleton (who has proved that he was as every bit important to that Loko team last year as Randolph), Panathinaikos has just struggled to mesh on the court, especially on the offensive end. Mike James, also from Baskonia, has struggled with injury as well as ineffectiveness, and KC Rivers hasn’t offered much else on the floor beyond points. Add that with injury to James Gist and inconsistency from James Feldeine and Demetrius Nichols (as well as others), Panathinaikos has been the personified mediocre. Considering the amount of money this organization spent this summer, that kind of title is not necessarily a badge of honor. Yes, Pana may be on the upswing after making a coaching change early in the year (Argyris Pedoulakis and his lack of ability to coach an offense finally caught up to him). But, I am not sure if Xavi Pascual, the former Barcelona coach, is necessarily the right fit for this team. They have players who do well in free-flowing offenses (such as Calathes, Singleton and Bourousis), and Pascual is known for a heavily-structured attack, featuring lots of set plays. Already, we can see the struggles initially, as Pana and Pascual are trying to find the right balance and where to compromise on the offensive end (especially in Pascual’s case). Furthermore, much like Bartzokas in Spain, Pascual has little to no experience in professional basketball in Greece, let alone outside of Spain. Yes, Pascual is a big name with a lot of victories, but can he make the adjustment to the culture of not only the organization, but the faithful Athens fans? Bartzokas is going through his growing pains, and it’s showing that Pascual is going through his own as well. The big question is if Pana will be patient enough to see it out with Pascual. Considering the expectations placed on this squad at the start of the year, and rival Olympiacos’ recent successes over them in Euroleague and domestic play, I guarantee that Pana management won’t have thick skin with Pascual or this team if serious progress isn’t shown in the next 10-15 games. The fact that Pana is at this point of desperation and panic is disappointing, because I figured Pana to be one of the more enjoyable teams in the Euroleague this year, especially after they acquired a rejuvenated Bourousis. Instead, they have seemed to be one of the more dysfunctional ones both roster and coaching wise. Runner up: James Anderson, Darussafaka (player); Galatasaray (team).